So yesterday, something very exciting and unexpected happened, Clara Parke’s put Penguin: a Knit Collection on her 2015 Gift List for The Knitter’s Review. Turns out that a penguin was her high-school mascot and I’m her favourite instagrammer – high praise indeed from a woman I have utmost respect and admiration for. That feels momentous enough that it could be the only thing I tell you today, but there are patterns to introduce you to! I love stranded colourwork and yet it’s not featured highly in my book. 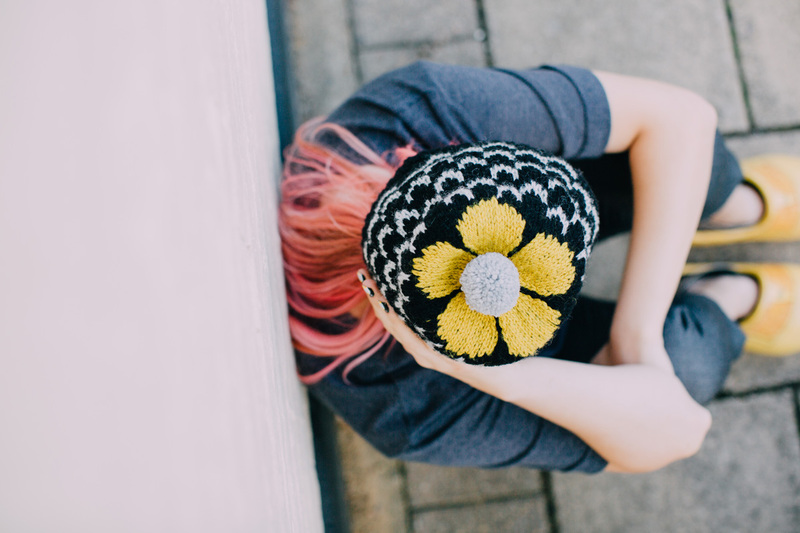 Only 2 of the 11 projects in Penguin: a Knit Collection are stranded: the Fledgling mittens and this, the Flower King hat. (Mind you, only 3 patterns are shown in a single colour.) I started the #fairilsefriday hashtag over on Instagram about 2.5 years ago now with a very inclusive and welcoming understanding of what constitutes Fair Isle. Therefore it feels right to share this stranded project today, on a Friday, regardless of the fact it doesn’t feature any remotely traditional Shetland motifs. It is stranded, and to many folks, correct/blasphemous/misguided or not, Fair Isle is still the catch-all term for knitting two colours in the same row. And really, what an honour – that one little island gets to lend its name to a whole approach to knitting that has it’s origins and use spread all over the place! I also hope it’s becoming clear by now, that though united by a deep fascination and appreciation of the penguin, the majority of the patterns in my book do not actually look like one. They were the jumping off point or perhaps more correctly, the diving in point. When I was looking at the king penguin for inspiration, things took on an unexpectedly floral twist. King penguins have what looks like a large yellow inverted petal on each side of their face. In using this shape to form the colourwork patterning on the crown of this hat, I found myself with a flower. This of course means that a pompom was compulsory, as it becomes the heart of the flower ­– a treat for those with an aerial view. The hat is worked in the round from the brim up, starting with 1×1 ribbing. The colourwork chart is repeated around the hat 5 times. There are undeniably long floats, so there are tips to advise where and why to manage these. Unlike the other patterns in the book, this hat is given for a single size only – a good middle ground adult head size of 56-58cm / 22-22¾”. Guidance is given for creating different sizes. Changes in the yarn you chose and your tension can make the little tweaks you might need and adding repeats of the colourwork chart can make more dramatic adjustments, as would removing them. You’ll want 3 colours to knit with and another one for the pompom. All the patterns in the book use Faroese yarns from The Island Wool Company. 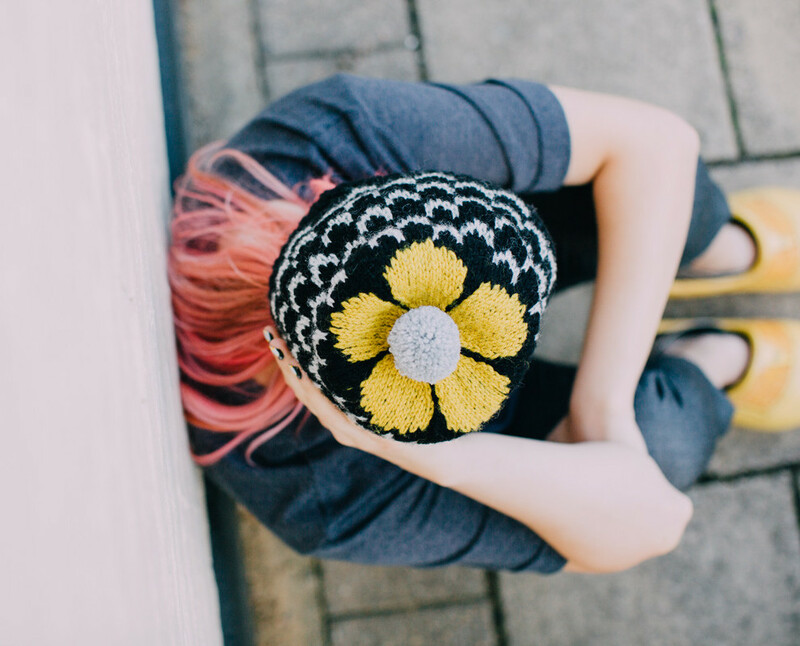 This hat uses Navia Trio, a Faroese 3-ply yarn that is equivalent to a DK/worsted weight. 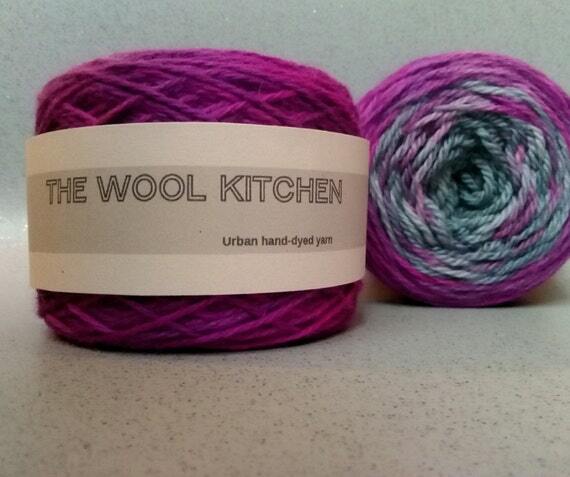 It’s 100% wool, spun from a mix of Faroese, Shetland and Australian fleeces. You’re looking for a tension of 20 sts x 24 rows = 10cm / 4” over colourworked Stocking Stitch on 4.5mm needles, or whatever needle you need to get that tension. The knitting pattern includes a lengthy section on making successful pompoms, something I couldn’t resist putting in. I am known to wax lyrical about making pompoms. (I do write a regular column for PomPom Quarterly, which, contrary to what the name might suggest, isn’t about making pompoms at all, though they do occasionally appear on the gorgeous knits you will find in there.) 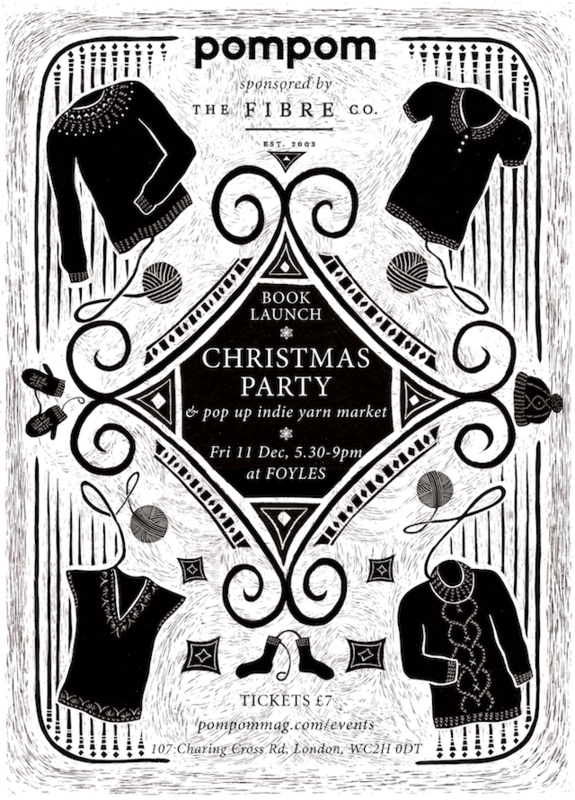 Speaking of which, I’ll be signing copies of the book and showing off the samples at the PomPom Xmas party on Friday, 11 December. Clara Parke’s will also be there and I will finally get to meet her in person! 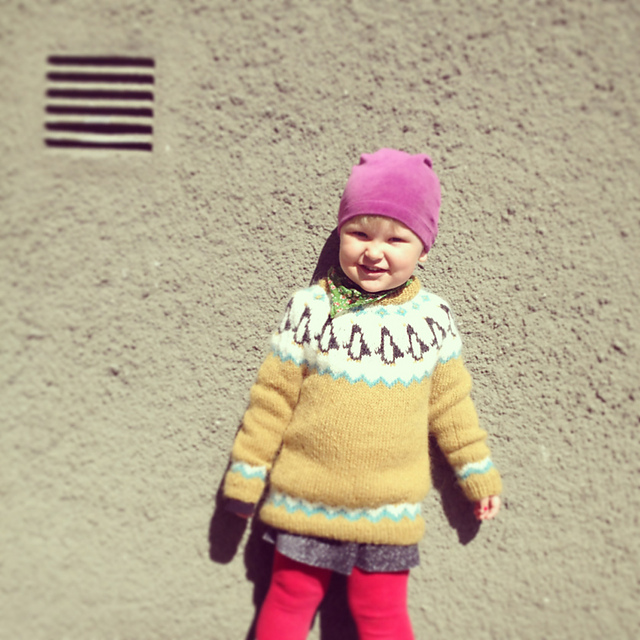 Get your copy of PENGUIN: A Knit Collection HERE!.